Bradley's You Framed a What? 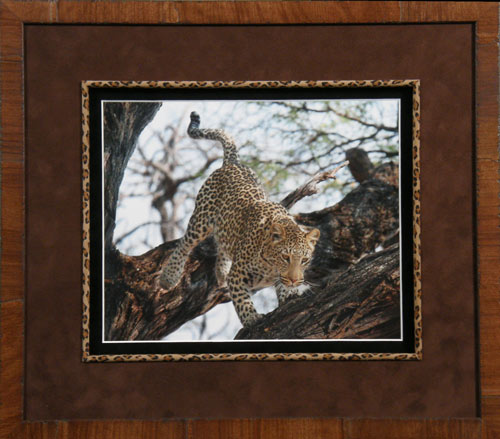 A striking photograph of a powerful leopard taken on safari in Africa. 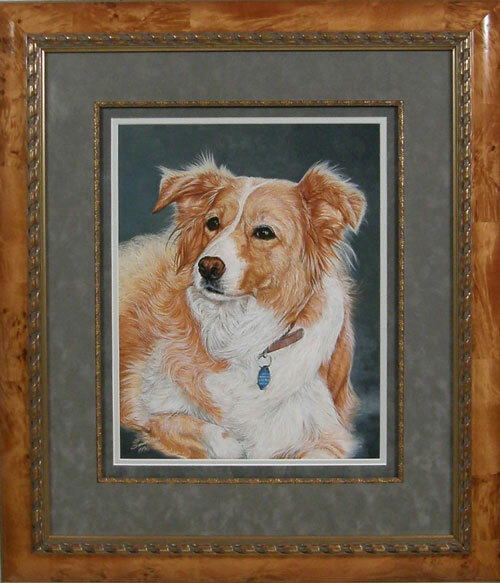 A portrait of Bradley’s former shop dog, R/C, painted by Sharon Saunders. 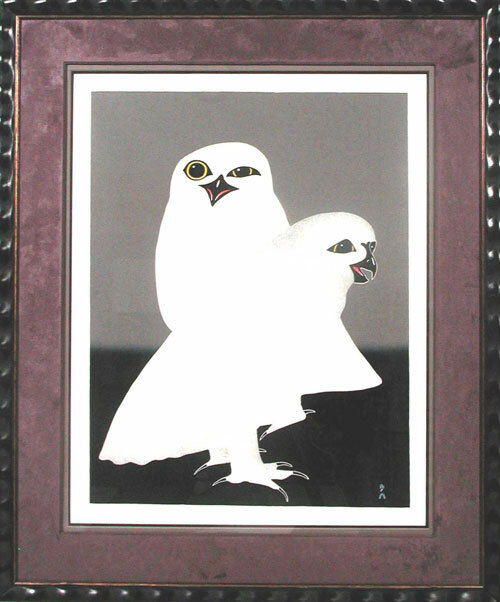 A dramatic original print of two white owls. 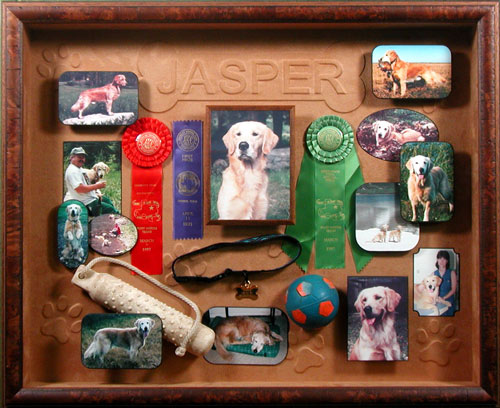 Photos and memorabilia from a treasured pet mounted on an embossed suede background. 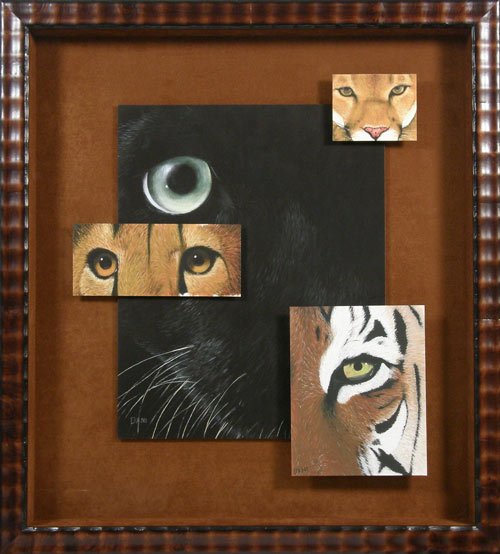 Four different prints mounted at different levels in a shadowbox lined with suede. 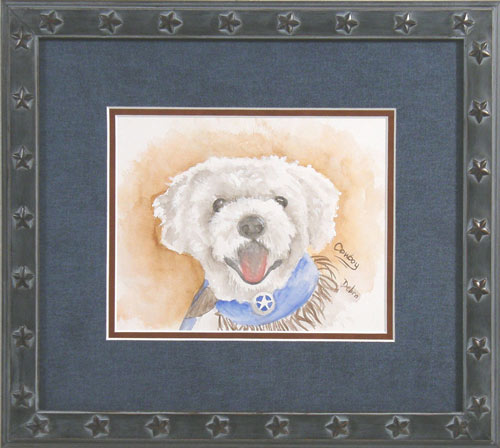 Pet portrait with custom finished star applique frame. Denim and suede mats complete this Texas-style framing. 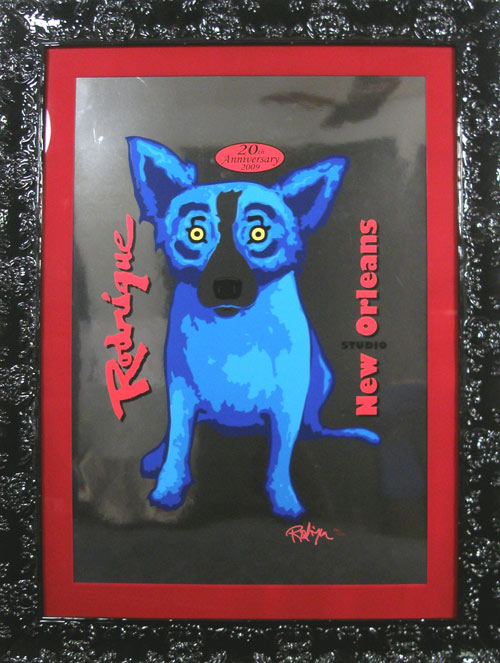 Blue Dog print on silver reflective paper framed with a glass painted mat and ornate laquer finish frame. 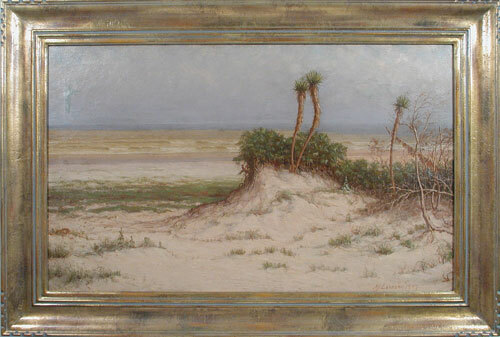 Beach scene oil painting with a beautiful hand-finished closed corner frame. 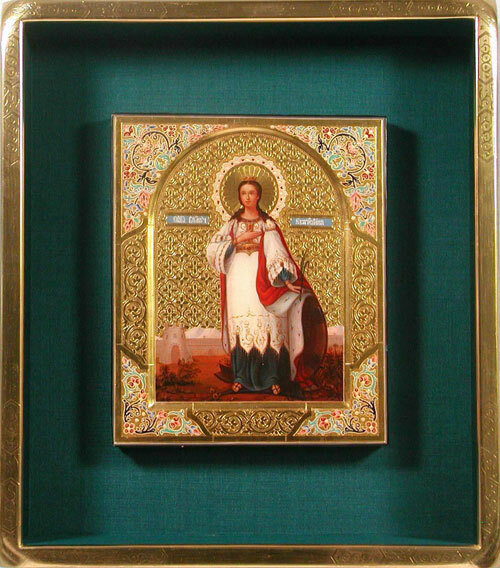 Antique icon of St. Catherine framed in 22k gold with engraved corners. 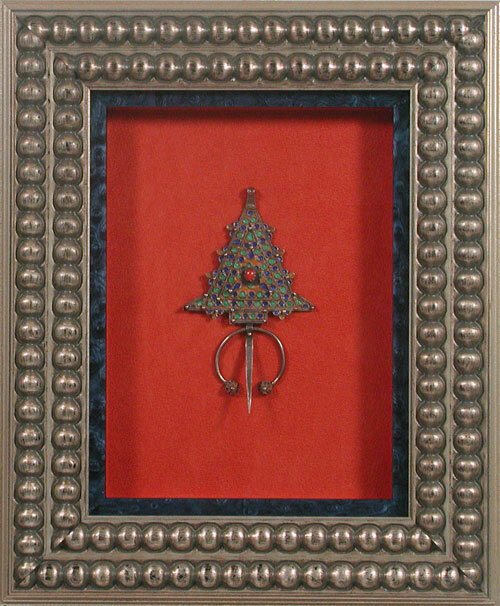 Moroccan garment decoration — a "tauriq." 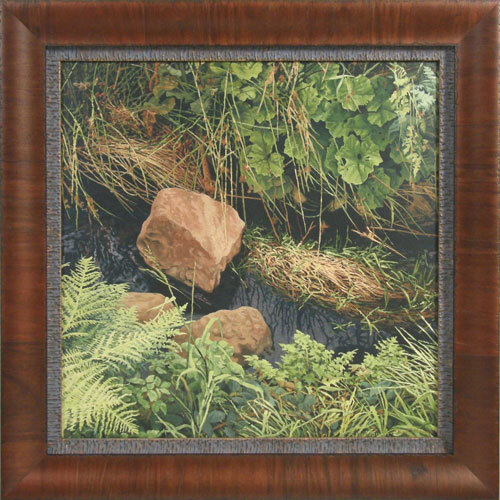 Tranquil giclée print by Bonnie Brooks. 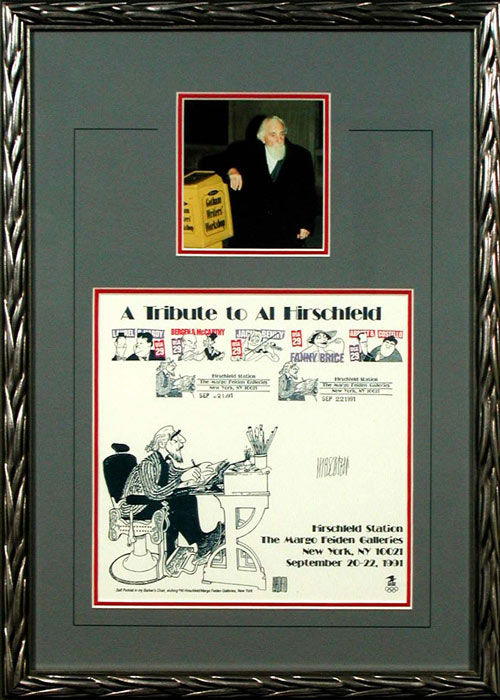 An original drawing and photo pay tribute to the longtime cartoonist. 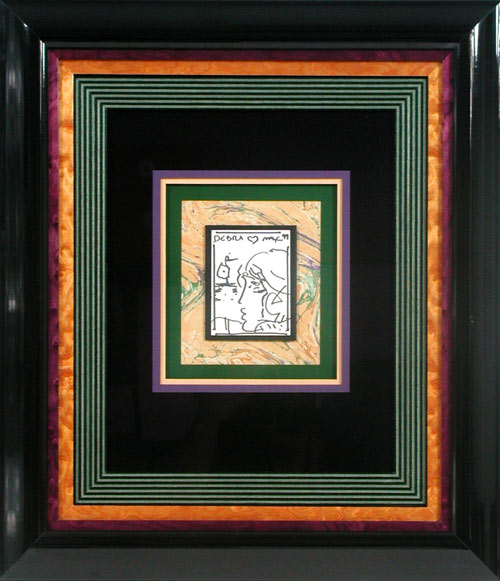 Peter Max original drawing with a quadruple stacked frame and quadruple mat. 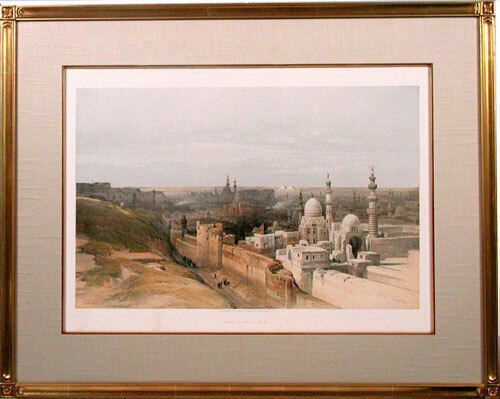 The art is mounted on a handmade marble paper. 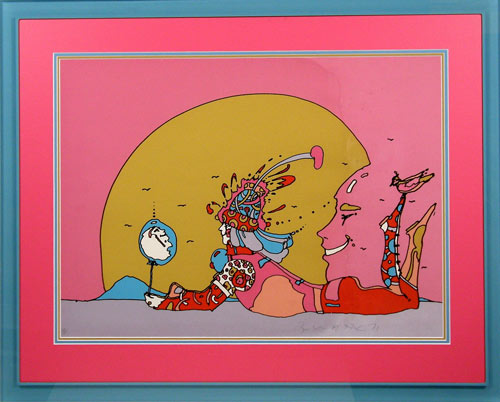 Peter Max signed and numbered print with a triple mat and custom colored acrylic frame. 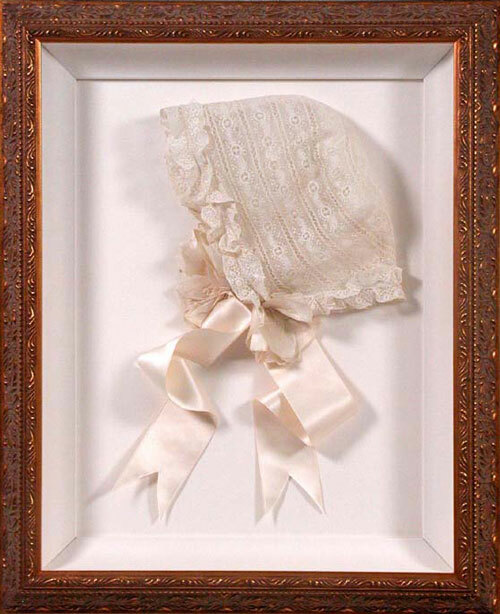 Precious lace baby bonnet in a shadow box. 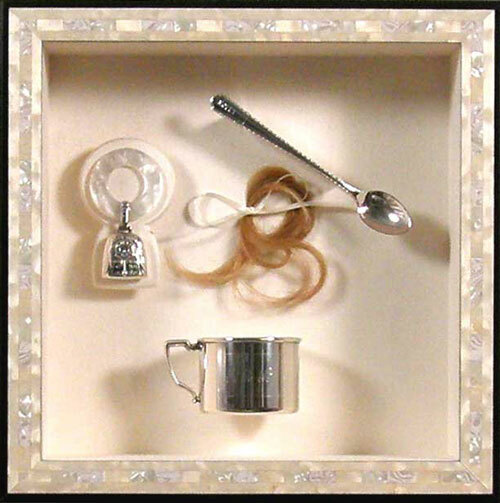 A lock of hair, spoon, rattle and cup — a lovely gift for a new mom. 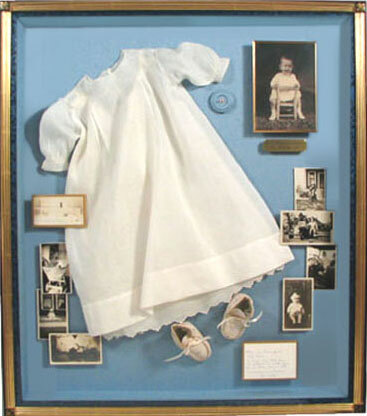 Christening dress with photos, a ring, and baby shoes — a charming collection. 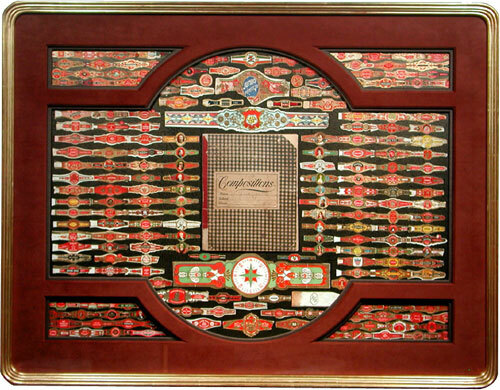 A boy’s collection of cigar bands and his notes in a record book. 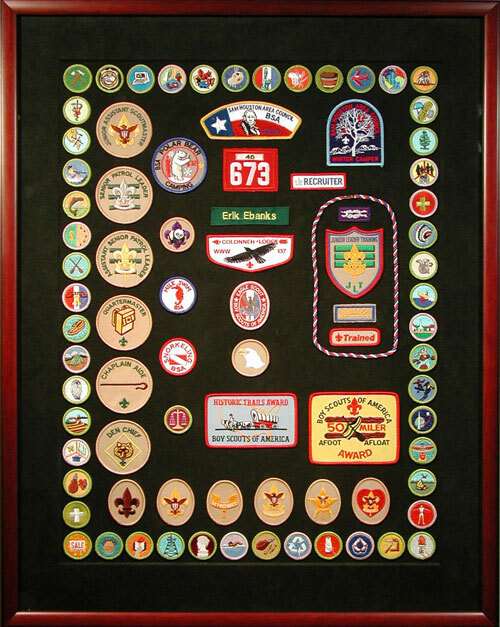 Patches and badges belonging to a brand-new Eagle Scout. 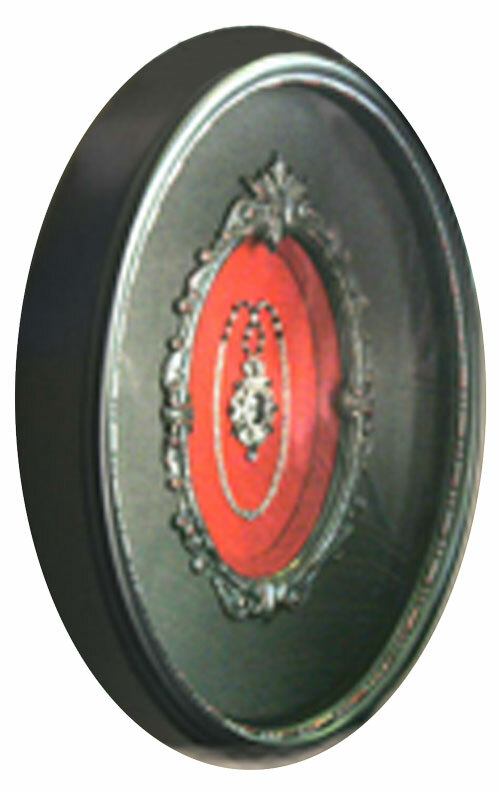 Unique collection of handmade buttons — oval frame with convex glass. 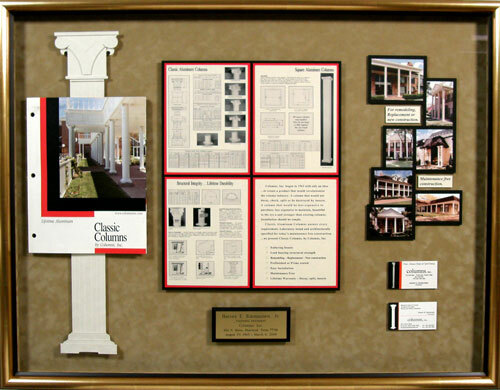 Magazine article depicting the history of a "column" business with a handmade decorative column. 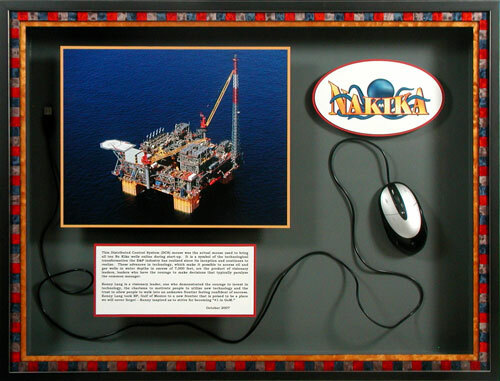 Photograph, mouse, and written tribute recognizing the accomplishments of an energy company manager. 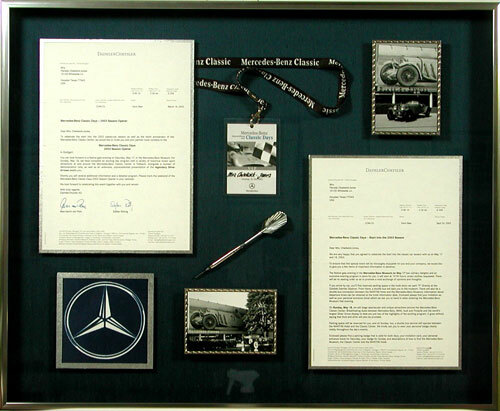 Mementos of a trip to the Mercedes plant in Germany. 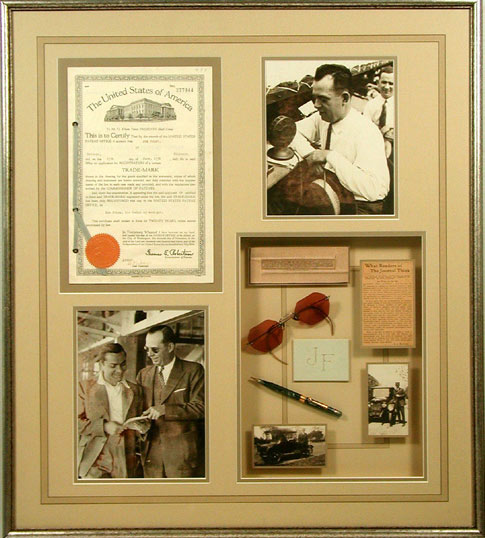 Texas State Law License framed with decorative corners. 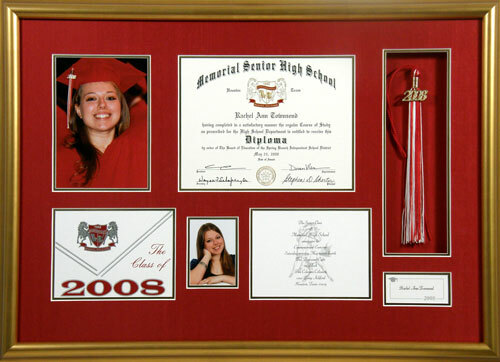 Memorial High School graduation memorabilia shadow box. 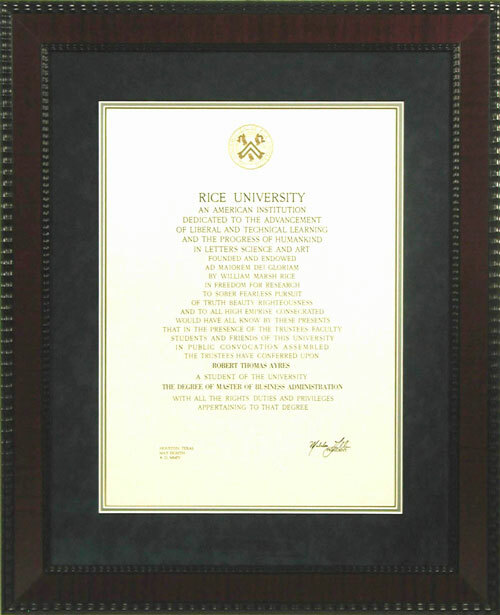 Rice diploma with suede mat and burl frame. 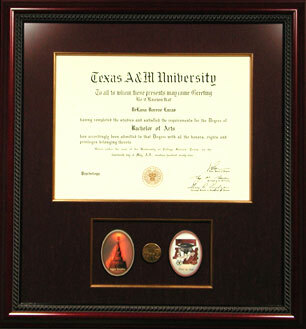 Texas A&M University diploma with added logos. 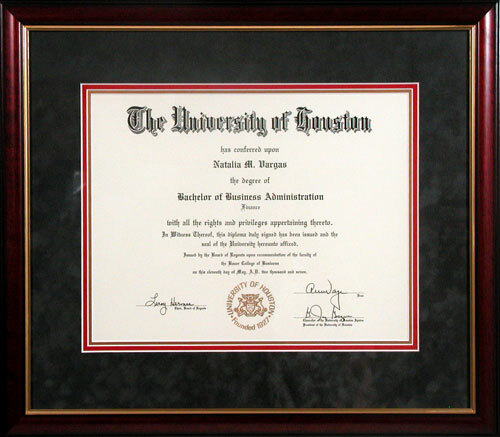 University of Houston diploma with red mat accent. 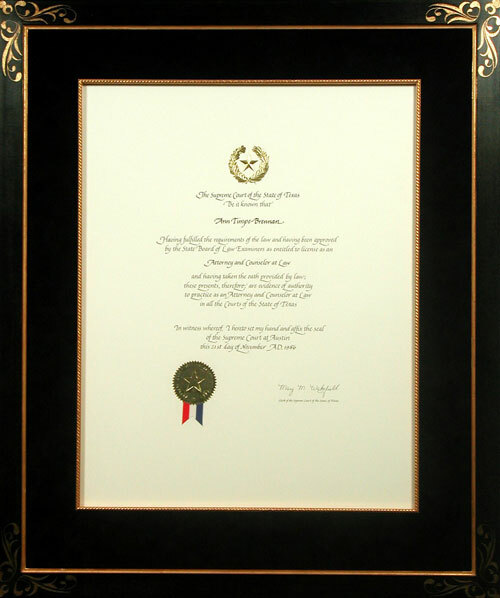 University of Texas: Two diplomas with photo of the Tower. Handwritten letter by George Washington, including a copy of the back and typed translation. 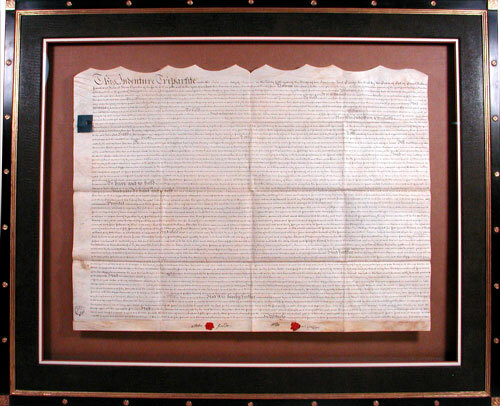 Double-sided old indenture on sheepskin floated between two pieces of glass. 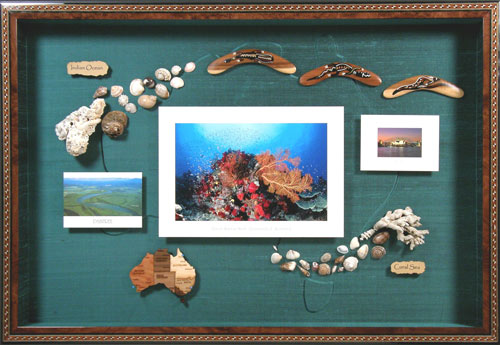 Photographs and souvenirs from a lovely family vacation in Australia. 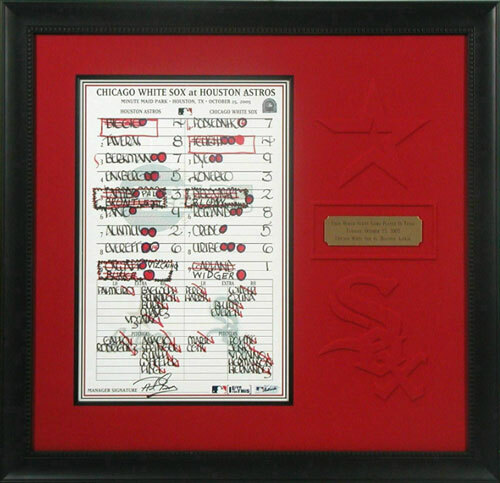 Memories of Pat’s father, Joe Foley, baseball player, broadcaster, sportswriter, and boxing promoter. 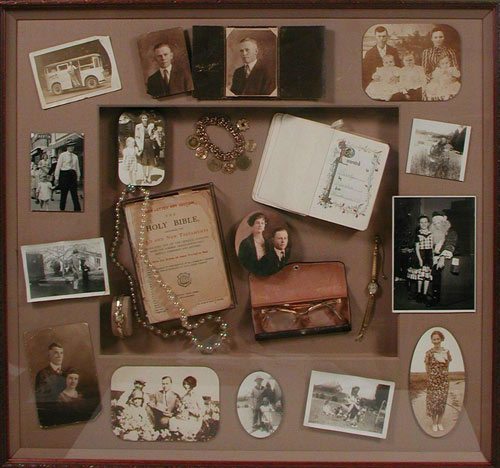 Photos, jewelry, and other items from several generations of one family. 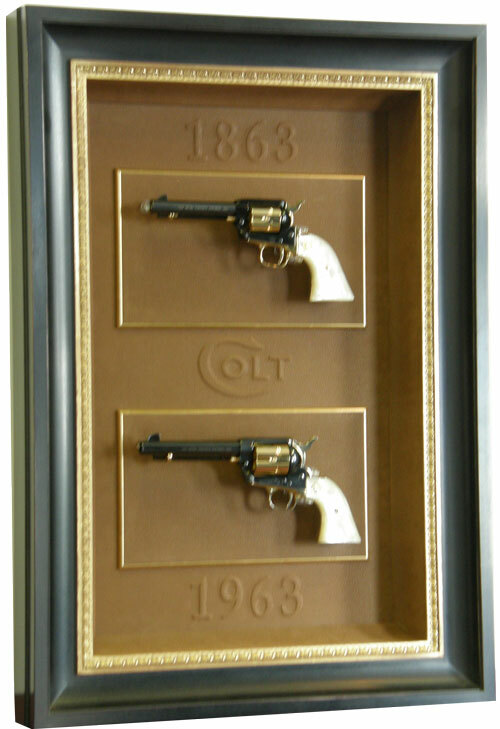 Matching Colt pistols commemorating the company’s 100th anniversary. 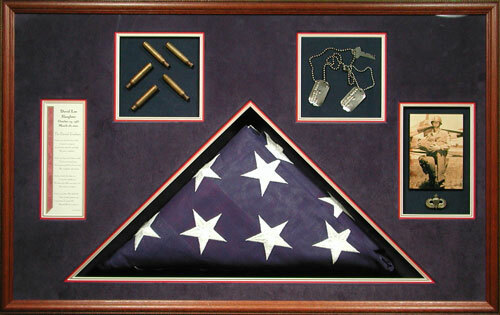 Military flag, photo, shells and dog tags honoring service to our country. World War I rusted bayonet excavated from the Somme in 2000. 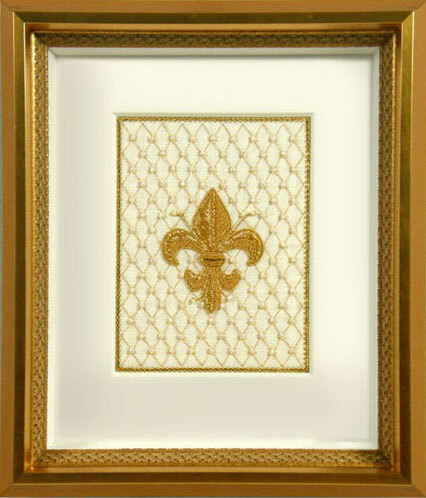 Hand-stitched fleur-de-lys gold with pearls. 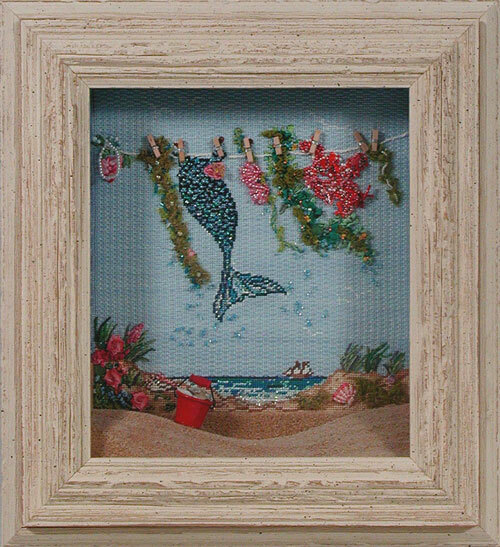 Needlepoint mermaid "laundry" with a real sand beach. 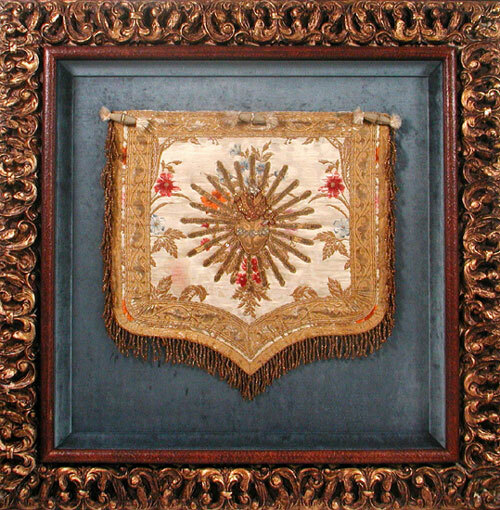 Beautiful antique altar cover from Italy. 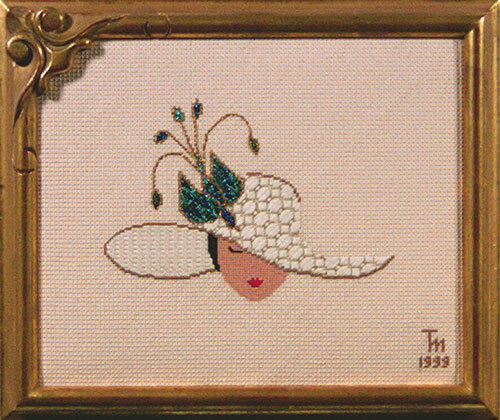 Needlepoint lady wearing a hat with a unique corner ornament on the frame. 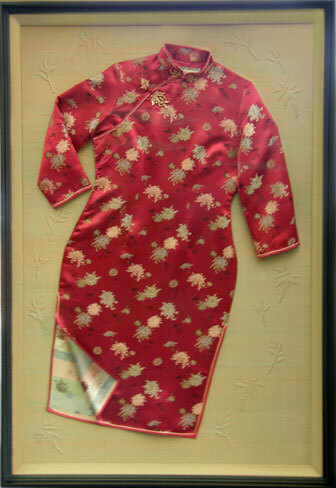 Mandarin Chinese silk dress — elements of the fabric design are repeated in the fabric background. 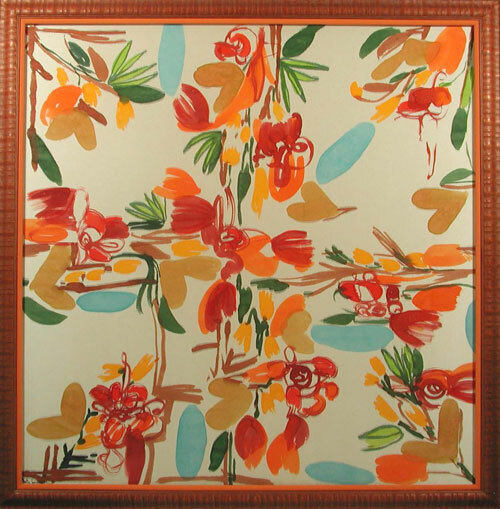 A striking Hermes silk scarf. 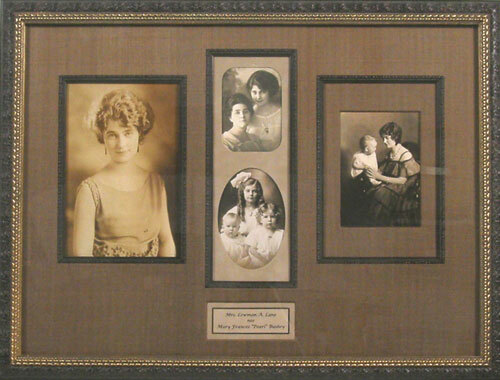 Collection of four photographs of the same lady. 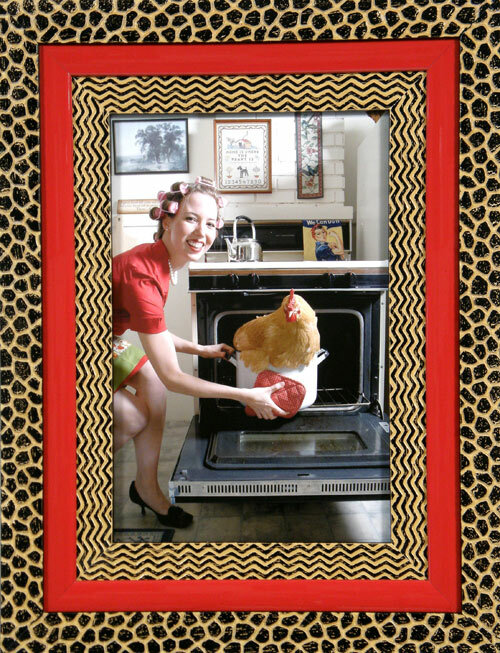 A "funky" photo with a "crazy" frame. 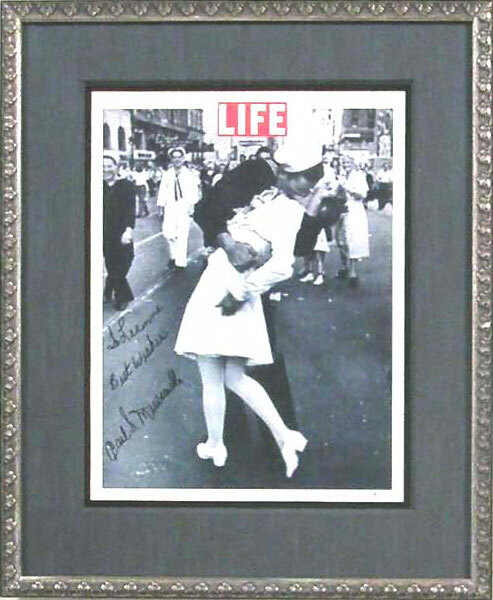 That famous WWII photo of the sailor kissing the nurse, autographed by the sailor. 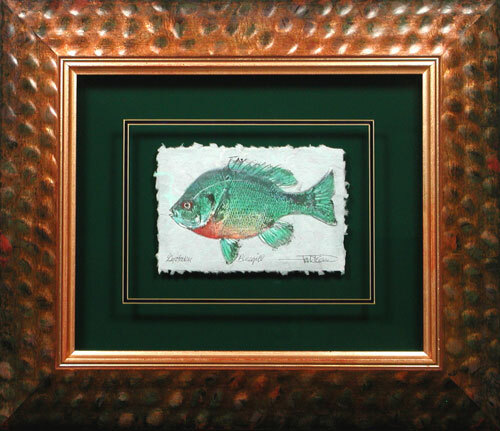 Fish Frame, winner in PPFA Framing Competition. 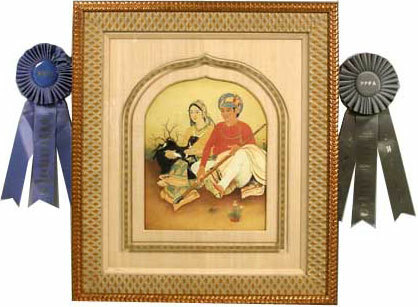 Portrait of Indian Couple, winner in PPFA Framing Competition. 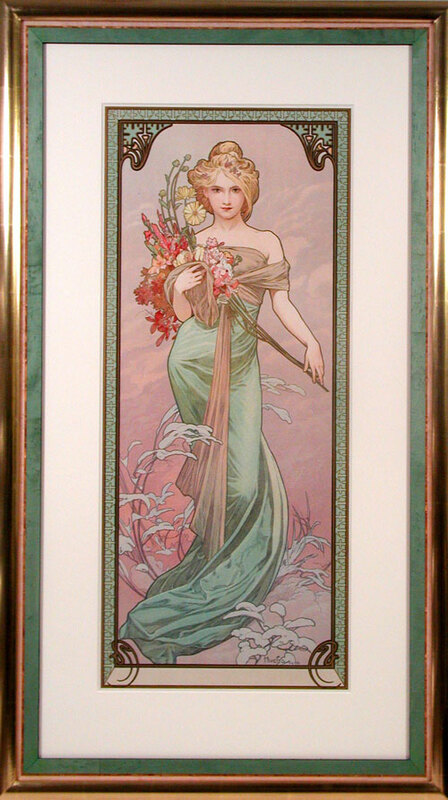 Antique Necklace, first place, popular choice, and National Honorable Mention PPFA Framing Competition. 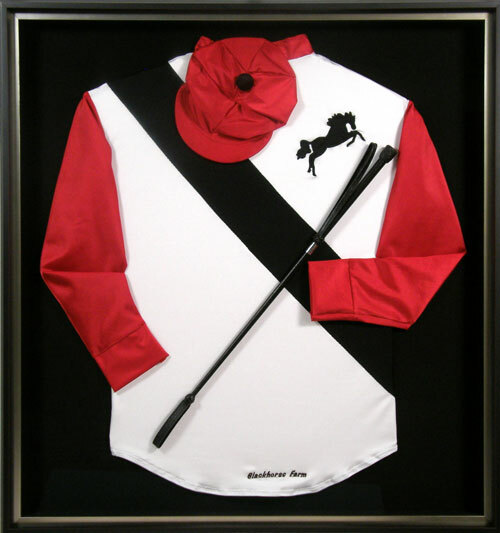 Horse racing silk for an up-and-coming thoroughbred. 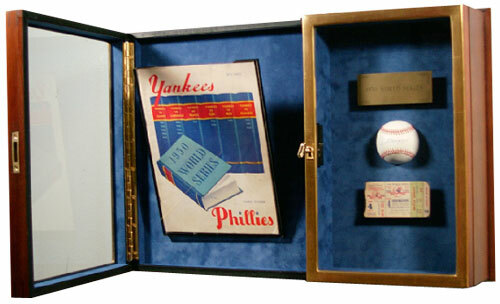 A baseball treasure — 1950 Yankees World Series Program, Ticket and Joe DiMaggio autographed baseball in a lockable shadow box, shown open. 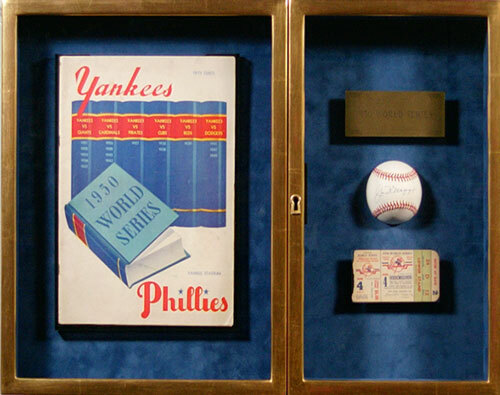 The 1950 Yankees World Series Program — shown closed and locked. 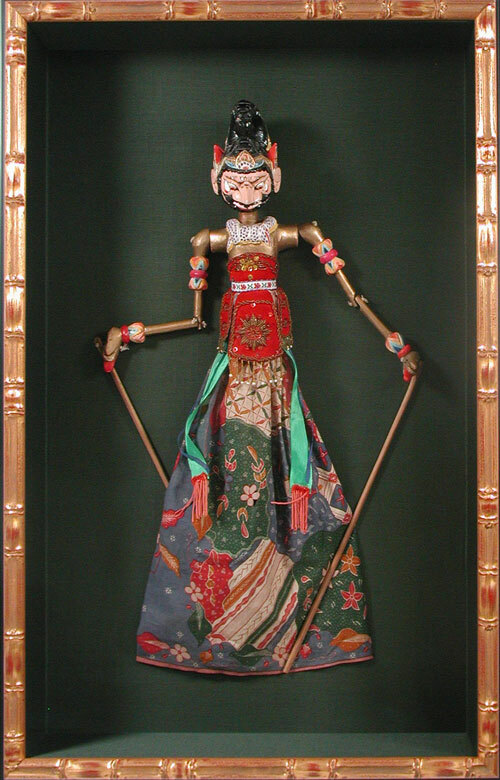 Indonesian puppet dancing in a shadow box. 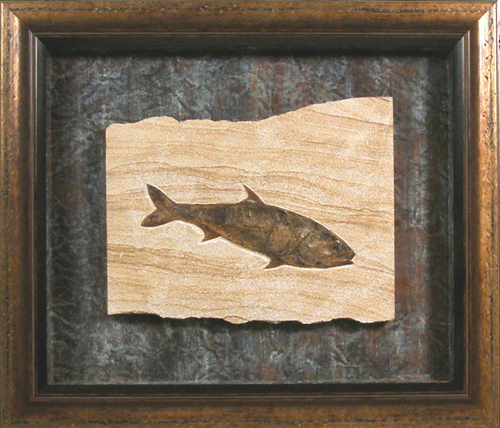 A very old fish fossil. 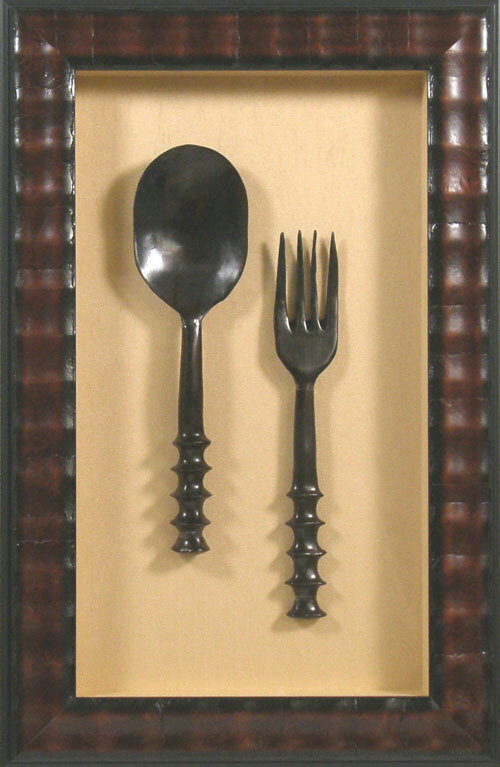 Hand-carved ceremonial fork and spoon. 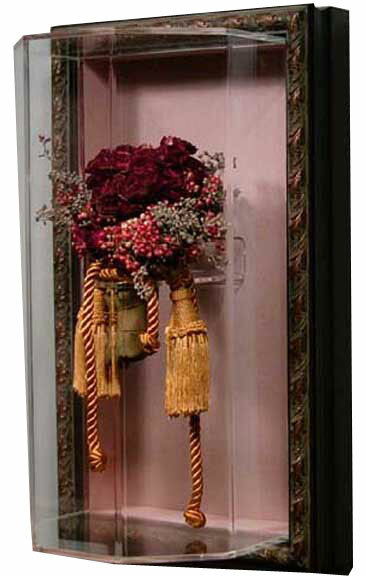 A luxurious wedding bouquet in a five-sided acrylic box. 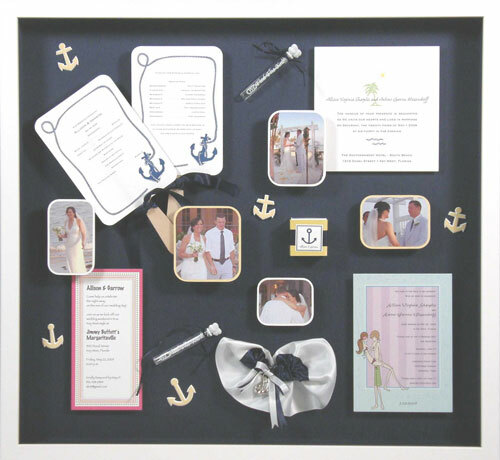 Memorabilia from a wedding performed on the beach with a nautical theme. 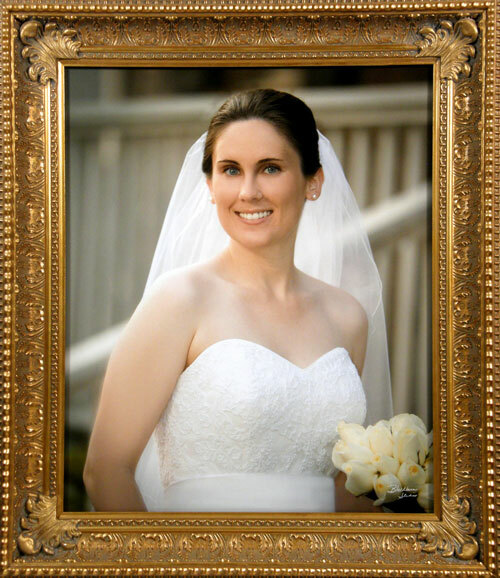 A lovely portrait of a beautiful bride.